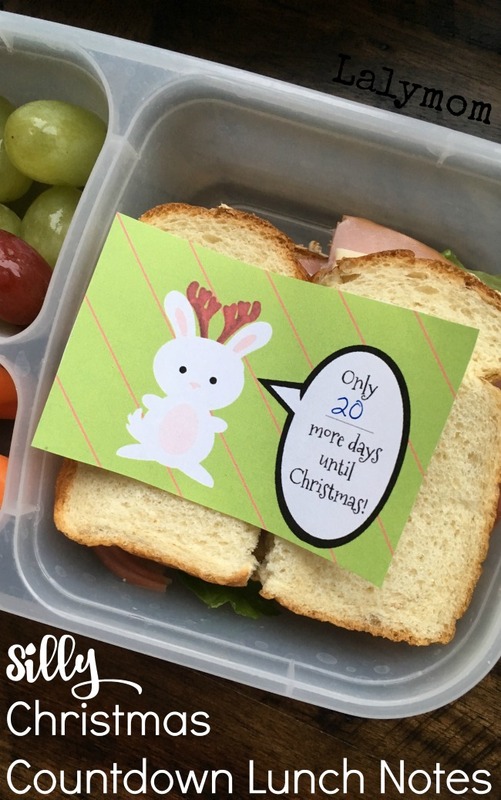 Today I am sharing some cute Christmas Countdown Lunchbox Notes for kids! What a fun surprise it would be to get a cute note tucked in with lunch each day, right? I did pop some affiliate links into this post, FYI, just for easy shopping! I love finding inexpensive yet fun ways to make my kids' holidays special. We have been following along with our Christmas Countdown Ideas and I have another to share today! My daughter is in first grade and I've decided she is a real Acts of Service type of girl. She loves it when I demonstrate my love for her by doing little things for her. Lunchbox notes are a simple little I love you that I can slip into her lunch to keep her heart full. I started when I found Lemon Lime Adventure's cute Halloween Lunch notes and I wanted to do some for Christmas, so I whipped some up myself! 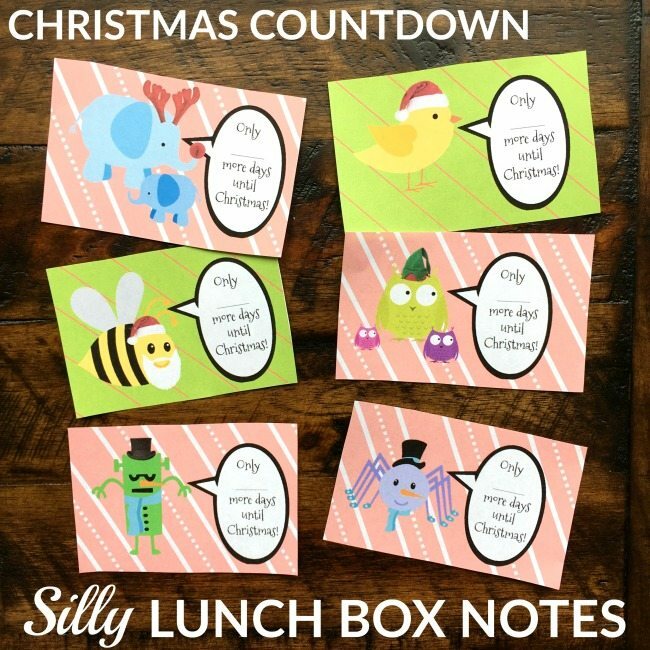 There are three pages of printable lunch box notes. The first page is really your traditional Christmas characters. If you're the traditional sort, then feel free to print a few copies of just this first page and mix and match them. If you don't mind a little giggle here and there, the other two pages are random animals, bugs and even a Frankenstein type of monster. We like silly here, so I printed all of them. I designed them without guidelines to cut them out, just FYI. I hate having to trim and trim when I do printables so I just have the background spanning the whole page and you can just cut them out by eye or using a paper cutter. 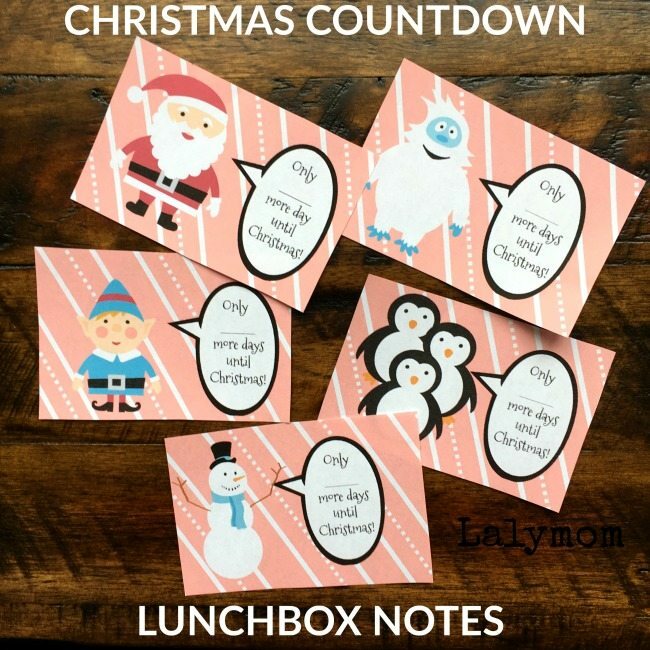 To get your FREE Printable Lunchbox Notes Please head to the Lalymom Christmas Shop and find it in the Free Printables Section! What things besides Lunchbox Notes do you like to do to make the holidays special? Let's hear it in the comments below.